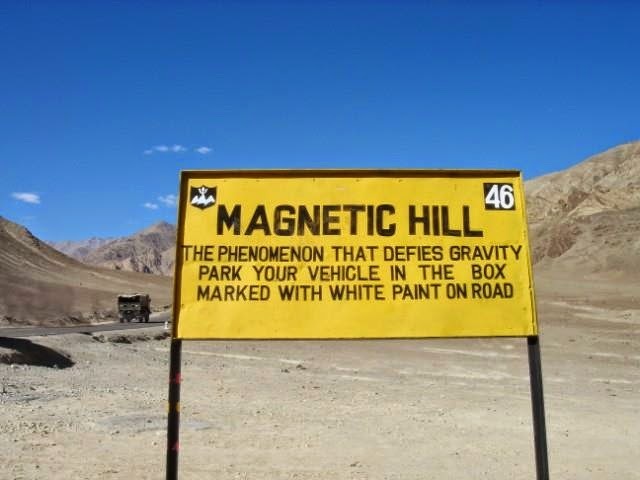 Magnet Hill is a gravity hill located near Leh in Ladakh, India. 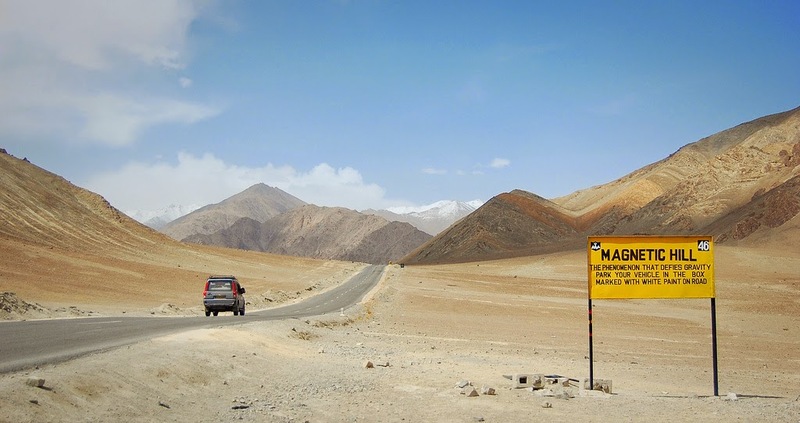 The hill is alleged to have magnetic properties strong enough to pull cars uphill and force passing aircraft to increase their altitude in order to escape magnetic interference. This is likely based on the illusion that some people see of objects which appear to roll up a hill. In reality, this is purely an optical effect caused by the specific layout of hills and deceptive fields of reference.